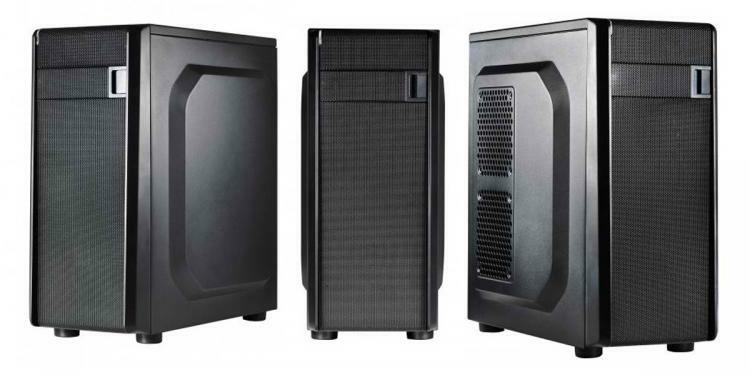 X2, PC and gaming gear maker based in the Netherlands, releases the T6 ATX case offering a contemporary design, efficient ventilation with great value and simplicity. The X2 T6 case has a minimalist but functional layout featuring USB 2.0 and USB 3.0 connectivity in the front panel I/O ports along with high definition audio ports. The X2 T6 features a well-ventilated interior chamber having two 120mm cooling fan mounts in the front, 1 120mm blue LED cooling fan pre-installed. There are also two 120mm cooling fan mounts in the side panel and one 120mm cooling fan mount in the rear giving plenty of options for cooling fans. As for storage drive support, the T6 has a full drive rack that supports up to three 3.5-inch drives along with up to two 2.5-inch drives. The T6 offers six PCIe expansion slots, covering most dual graphics cards configuration for high-end setups. The X2 T6 is a great gaming ATX chassis for entry-level gaming setups up to high-end gaming setups. The X2 T6 chassis has an MSRP of € 49.95 / $ 52.95. Visit the X2 website for more information.